Are your bonds falling apart under hot temperatures? You don’t have to sweat about your glue giving up under high temperatures, you just need a heat resistant adhesive! Below are some glues that can withstand the heat to ensure your bond will hold strong. Hot melt glues are used for a wide variety of manufacturing purposes, and there are a lot of different types of hot melt glue to choose from. While many manufacturers, especially those in the bookbinding industry, are likely familiar with EVA hot melt —there’s a better alternative out there! PUR hot melt adhesive, or polyurethane reactive, has taken over the manufacturing world, especially for packaging, graphic arts, construction, electronics, and automotive applications. Why? It’s unbeatable strength! The reactive properties, namely isocyanate groups, of PUR cause the adhesive to draw moisture out of the air as part of the curing process. Once thoroughly dry, PUR has a bond strength of over 1,000 lbs! That means surfaces bonded with PUR are about 50% stronger than those adhered with EVA glue. Better still, PUR is exceptionally durable! Due to its isocyanate properties, PUR can’t be reactivated once cured, creating an extremely difficult to break bond that’s insoluble to most solvents. This tough bond provides better temperature resistance than other hot melt glues. EVA can be reactivated with heat and has the potential to crack in temperatures colder than -25°F. Generally, PUR adhesive has a heat resistance between 350° and 400°F, and because it cannot be reactivated, it’s not in danger of cracking, no matter how cold the temperature gets. 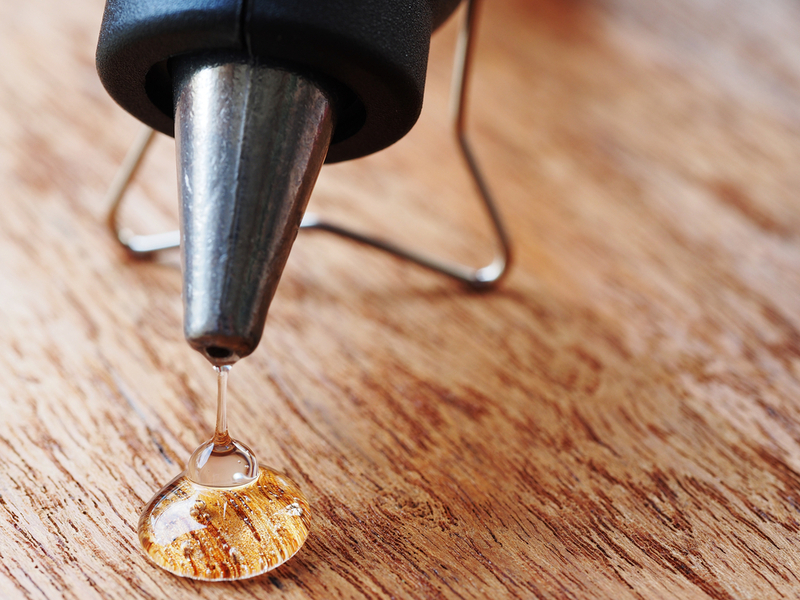 Resin glue is often a staple adhesive for manufacturers because of its extreme durability, high bonding strength, chemical resistance, and ability to weather hot and cold climates. It also has low porosity, making resin great for use as an overlay or for laminating. 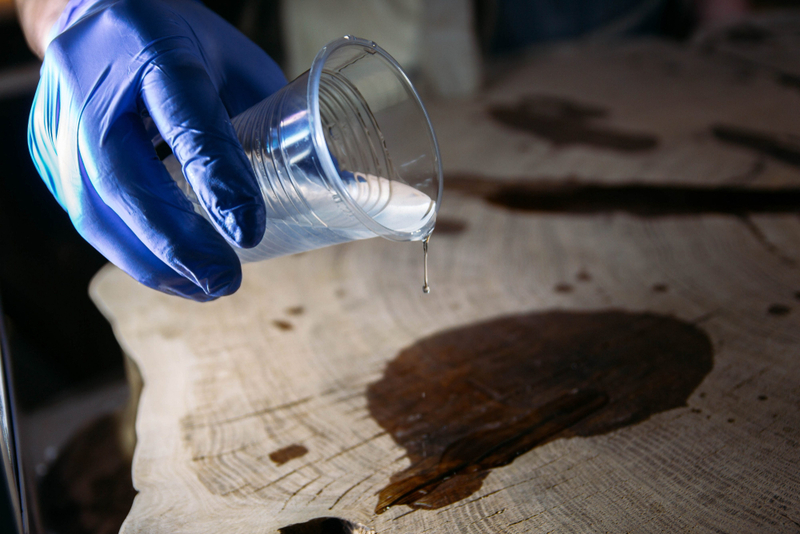 Once applied to a surface, resin quickly creates a strong, tight bond. It is also possible to modify the adhesive with resin emulsion polymers to adjust elasticity, surface tack, and cohesive strength to meet manufacturer needs. For example, most commonly used resins can withstand temperatures up to 150°F but can be modified to withstand temperatures up to 180°F or higher depending on the adhesive. Heat resistant resins can hold up against shock, prolonged vibration, and high temperatures, making them useful for industrial applications. 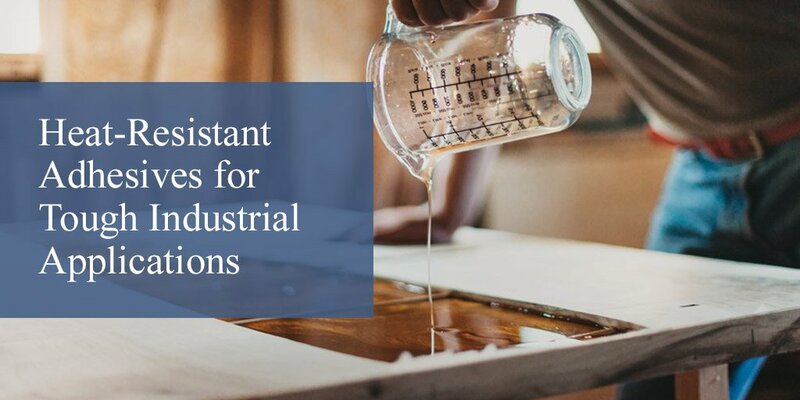 If you need an adhesive that can create a strong, dependable bond or sealing agent, consider using high-temperature resin. No one wants to deal with melting or blistering glue. To prevent sticky situations for customers, our team of glue experts at LD Davis conducts comprehensives adhesive testing. Heat and humidity tests are performed to measure the amount of curl and how well a bond holds under extreme conditions. If you need a solution that really sticks, contact us!